I wake up un-rested. After using my sleeping back for the first time during our trip, I found out the zipper is broken and the cold leaking into the bag wakes me up several times during the night. We are now at 12,687 ft (3,860 m), the morning air is crisp, ground still frosted over from the previous night. For the first time during this trek I start the day shivering. It is an easier day. We start on a downhill walking through Rhododendron forrest. It must be a beautiful section of the trail when the trees are in bloom. 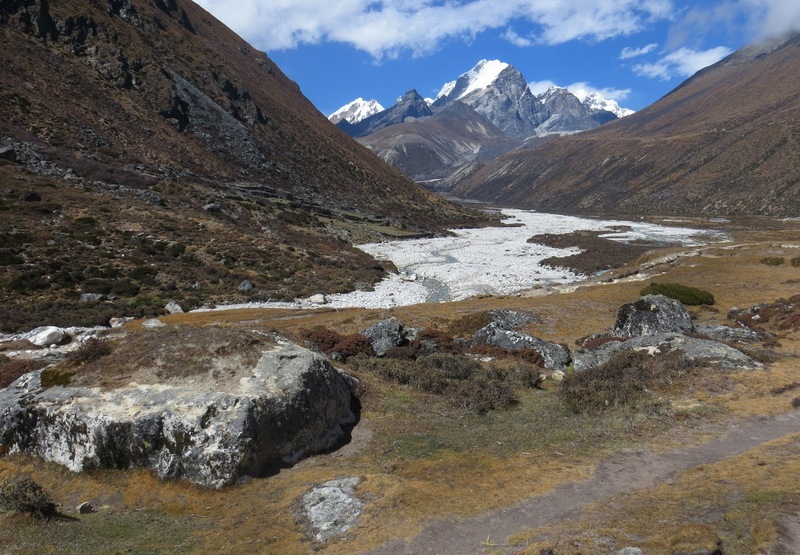 The path takes up to the river which we cross and then gradually start gaining the valley on the other side. We cover quite some distance today. Luckily the further we get, the easier the terrain becomes. Pheriche lies in a long valley often scoured by high winds. 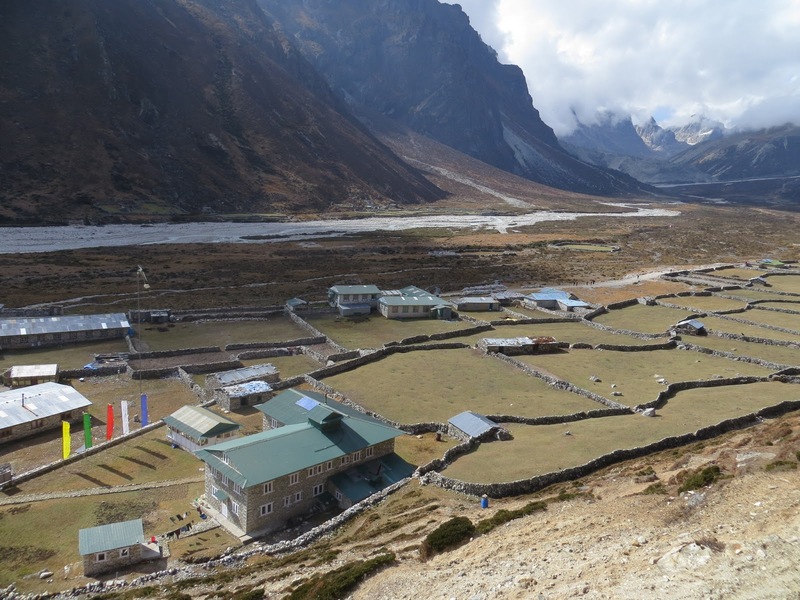 Many trekkers chose to travel through Dingboche instead where they take another acclimatization day. 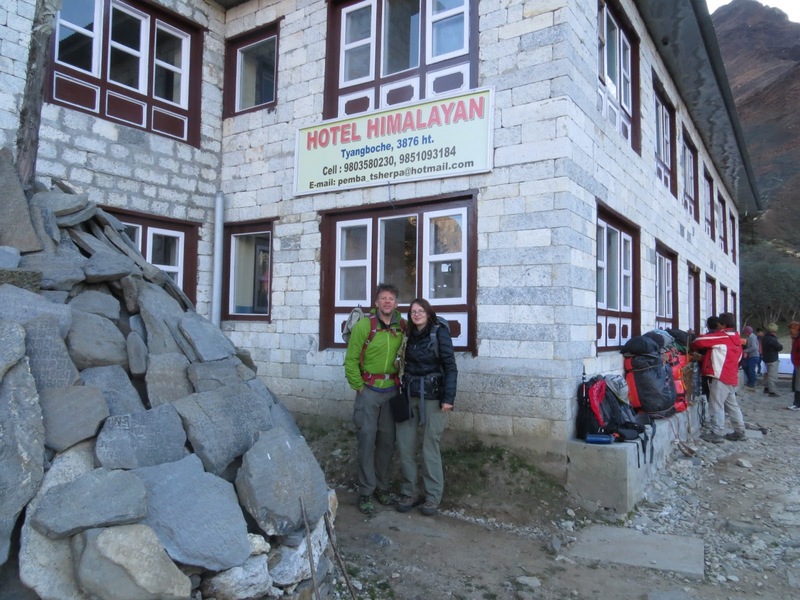 Our itinerary has us on move for the rest of the way to Everest Base Camp and couple days afterwards. We start questioning whether the lack of second rest day can affect our performance higher up. 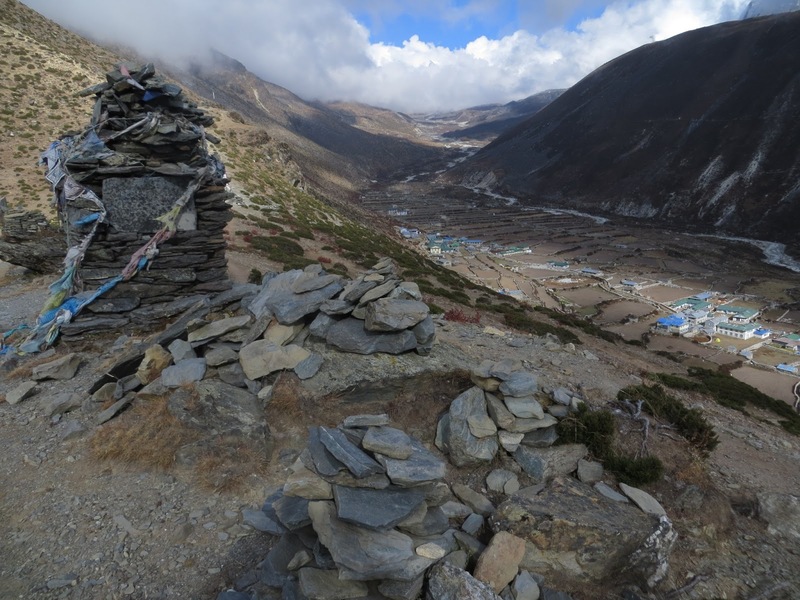 Dorji assures us we will be fine if we walk slowly but after meeting a man in our tea house looking completely exhausted saying climbing Kala Pattar was the worst thing he has ever done, and a woman who had to be brought down on stretcher, we are not so sure. Later in the day there is a presentation on altitude sickness at a local hospital and we start questioning the lack of another acclimatization day even further. 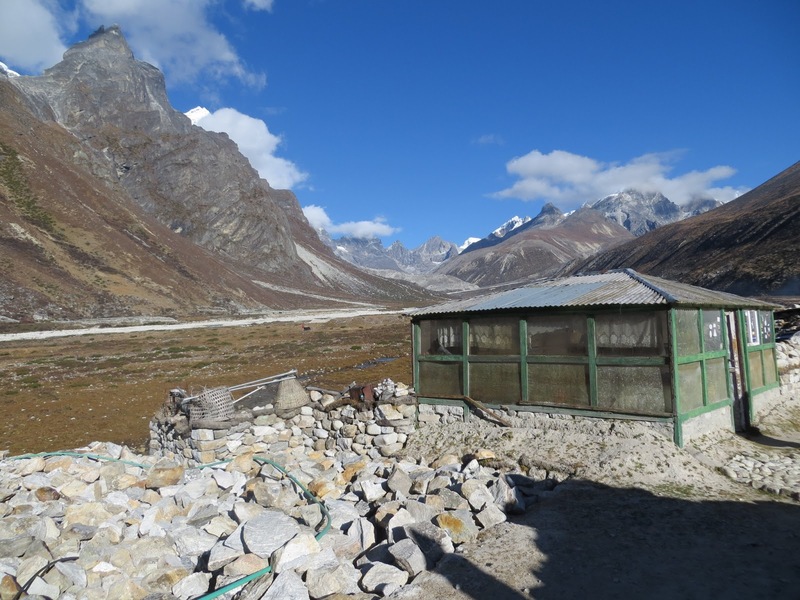 Pheriche hospital is one of two aid posts of Himalayan Rescue Association of Nepal. It was built in 1974 by the Japanese as a hospital and a research center. It is now stuffed by volunteer doctors from all around the world. After the presentation we have a chance to peak inside the hospital, and have our oxygen level tested. Despite the fact my oxygen level was surprisingly high, I start getting a headache later on while we sit in a tea house we found in town that has a TV. It’s cozy warm inside but I can detect the smell of kerosene in the room. I believe that’s what triggers my headache but the fact remains that it’s not getting better even after we leave and get in much fresher air.